Is homeschool clutter taking over your home? Find out to how to finally keep your homeschool organized and grab your freebie. Unfortunately, when the summer season ends, homeschool clutter season is rolls in. Yep, it has its own season. Over the Summer we’ve enjoyed more free time, fun time and less scheduled days. Our time was spent doing absolutely nothing with no responsibilities…Wait… What? Umm no. That would be nice, but not realistic. Yes, we do enjoy life and slow down a little bit in the summer, but that doesn’t however, mean that the house cleans itself or the laundry jumps into the drawers. But if you ask my kids that’s exactly what this means. What I’ve noticed in all my summers of being a mom, my kids think that once the last day of school rolls off the calendar that it means they are free to do as they please, free to slack off on duties and just chill while mom does it all. Hmmm – I don’t remember sending that memo. And then when school starts they are still in relaxed Summer mode forEVER! Do your kids try to guilt you into doing their chores for them? We have to be diligent in keeping these toxic feelings away. Don’t feel guilty for anything. We are raising adults not children. We aren’t slave drivers, but we do need to facilitate some rules and boundaries for them to be successful and thriving individuals. Does homeschool clutter take over as soon as the first day of homeschool rolls off the calendar? 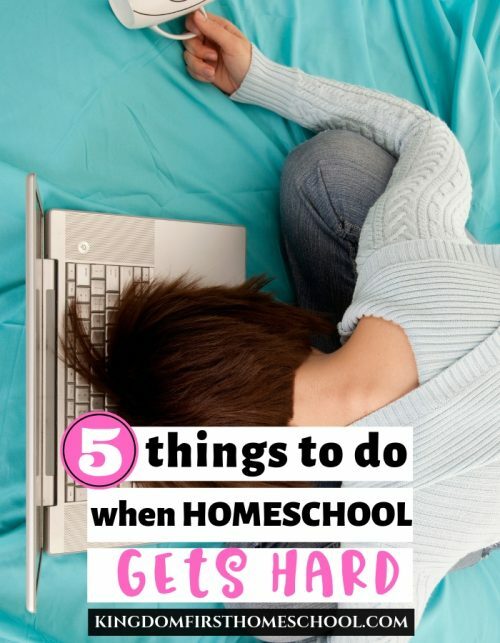 We spend all that time getting our curriculum and everything organized in the homeschool organization challenge we don’t want all that hard work to get ruined in a week do we? Clutter and messes happen at warp speed in our house. So if I don’t have a plan in place to make sure everything finds its way back to where it belongs, homeschool clutter and chaos takes over. Are you constantly yelling at your kids to get them to do what they know they are already supposed to be doing? We’ve all done it and we’ve all felt the gut wrenching shame that soon follows. Mommy Anger is something we don’t often talk about because it exemplifies our imperfections, but we aren’t perfect, no one is. When we feel like we are losing control and chaos is taking over we lose it. But if we begin to train our kids and draw them unto Christ this will happen less and less. Train their character and train their habits and you will have a better atmosphere all together. And don’t forget to do some inner work too. Once I started to be aware of my own stress level and sort through my emotions through prayer and reading the Word I began to see real change in myself with more peace and less mommy anger. #1 Figure Out What Your Kids are Capable of Doing. Sit down and make a list of the chores your kids are capable of doing. You know your child and what they can handle, don’t be afraid to give them something that you think they may not be old enough to tackle. They might just surprise you. If they can’t, give it to an older sibling. However, younger kids are perfectly capable of sorting, organizing and cleaning up their own school supplies. They have no problem getting them out, so they should have no problem putting them away. 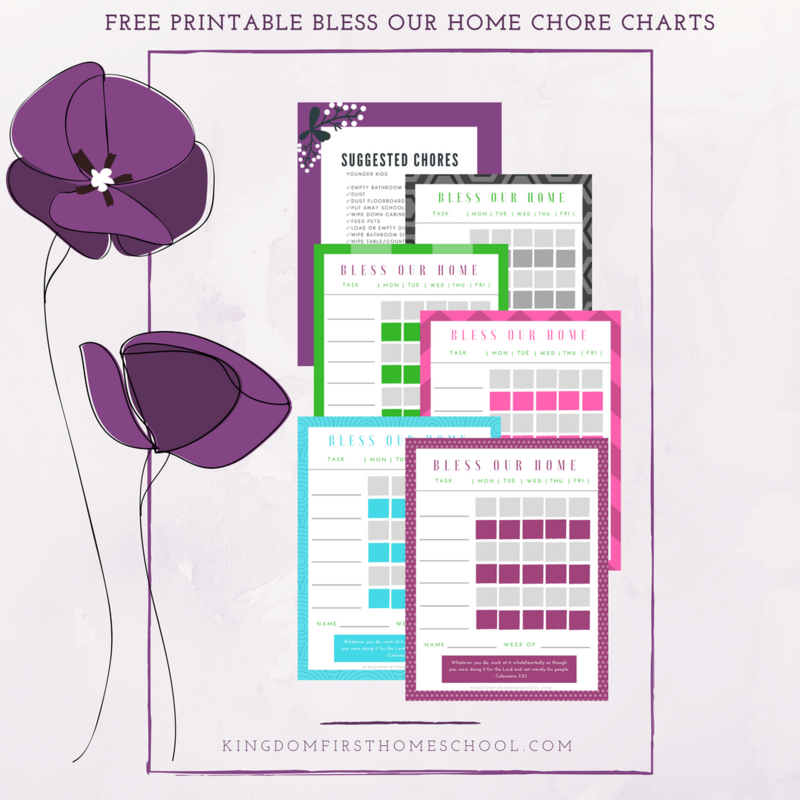 #2 Make a Chore Chart for Each Child. Have you ever noticed that if there’s no proof that you told them what chore they were to do they want to argue that you never told them to? Ugh! This was a BIG problem in our house. I squashed this one with PROOF! Yep, there is absolutely no way they can argue their way out of this one. I created a chore chart. This way they have to do the chore and mark it off EVERY DAY! I sell it in my store, but if you subscribe you can get it absolutely free. Click the image below to subscribe and get your instant access to my Subscriber Freebie Hub! 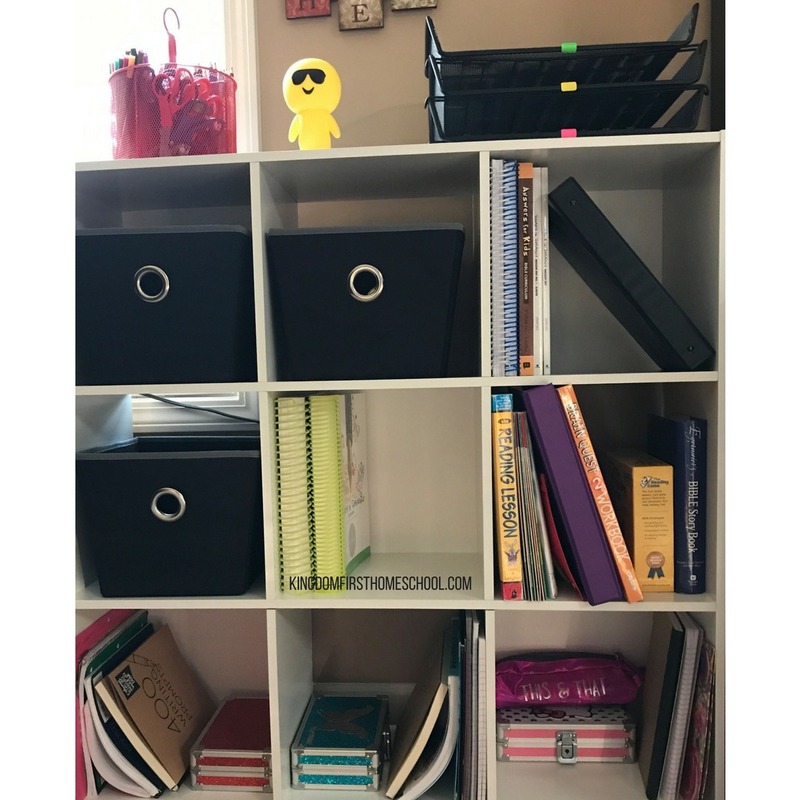 When the homeschooling day is completed have a ready list for them to check off before they can have free time this will help to keep all those homeschooling manipulatives, books, notebooks and paperwork in order. I love this 3 tier paper sorter for my 3 girls to easily put their finished papers in at the end of the day. We also have a 9 Cube Organizer with a designated area for each child to put their school books back neatly when we are done (bottom 3). Each of the black cubes have a purpose, 1 holds/hides craft supplies, 1 holds art supplies and the other holds basic school supplies, extra pencils, erasers, stapler etc. Make a list of expectations. A, B and C need to be completed before you can play with your friends or enjoy free screen time. Keeping the work before play rule is a great way to build character and raise responsible kids. Everyone in the family should have designated responsibilities. The more things you can delegate to your children the more sanity you will keep. Mom, you should not be doing it all. 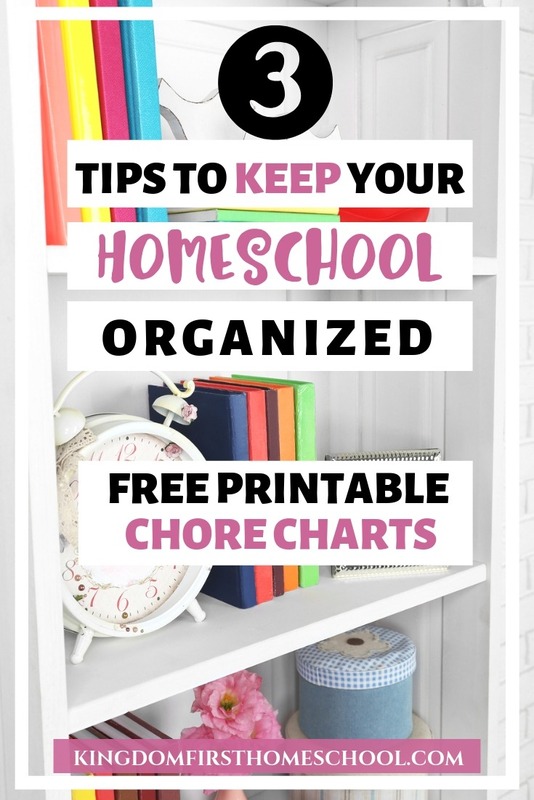 It should be a family/team effort to keep the homeschool clutter away and make sure your home is somewhat tidy most of the time. Starting the next homeschool day with everything in place makes for a great start and a more peaceful day. 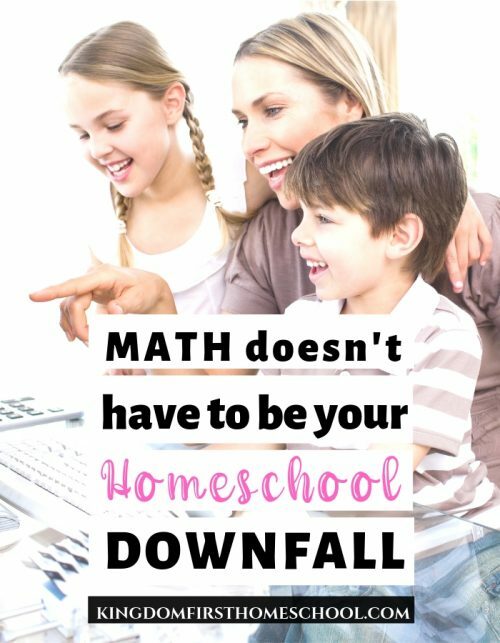 What are some ways you’ve kept the homeschool clutter under control? 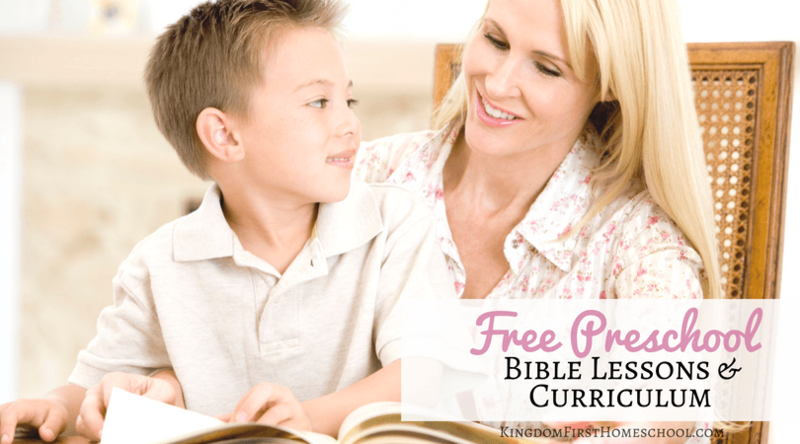 Bonus tip and challenge to end the homeschool clutter once and for all! 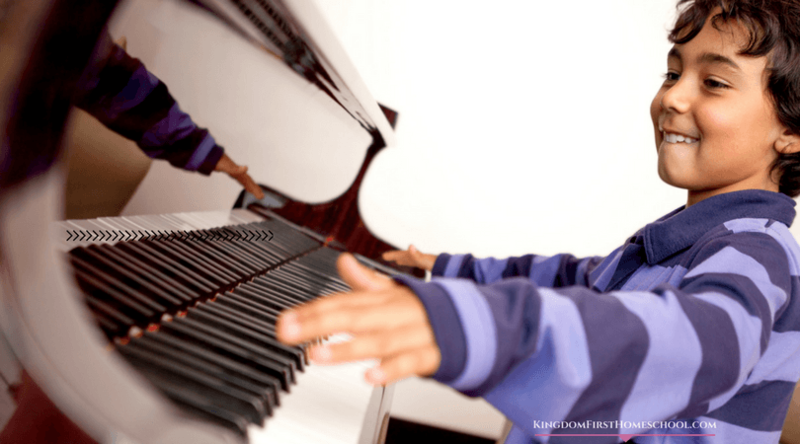 – I challenge you to, no I double dog dare you to turn up your favorite pump up song, round up the kids, set a timer for 5-10 minutes at the end of every homeschool day for 5 days straight and declutter! Before you know it your homeschool area/room will be free of clutter plus it’s really fun! Keep doing this every day after school and you will never see clutter again! If you take the challenge make sure you come back and tell me about it in the comments. Do you need more tips and ideas to get your homeschool organized? 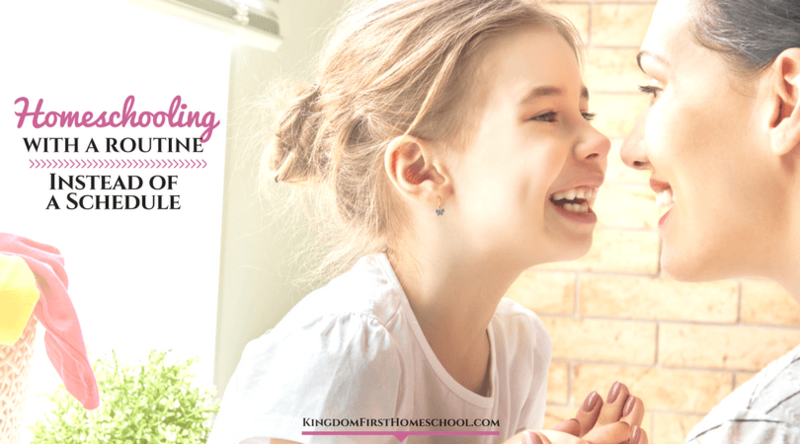 Check out these great posts packed with tips from a few of my friends in the Homeschool Organization Series.